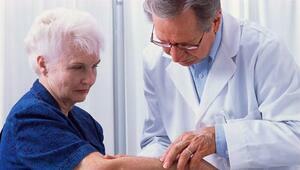 Dr. Stroud diagnosed my husband's skin cancer condition several years ago. I recently sought his opinion for myself. He exhibited competency and thorough examination while showing prudence for my privacy. I have faith that Dr. Stroud's amazing knowledge is sure and accurate. While he is definitely not a "Rodeo Drive" dermatologist, he has experience that assures his patients. I have been going to Dr. Stroud for at least 20 years. Both of my parents had melanoma cancer which my Mom died of that cancer. My Dad beat it. Dr. Stroud checks everyone of my moles. He even searchers through my hair. I had one removed which was a precancerous mole. I trust him with my life. Please use sun screen on all parts of your body even if you are riding in a car. See more group practices in Granbury.